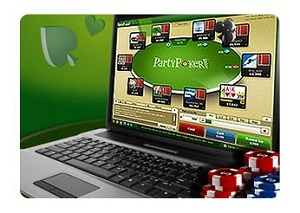 Players have been taking to the online poker forums to report a serious glitch occurring with the Party Poker software. The issue being reported is apparently causing hole cards to change midway through a hand, leaving players guessing at what their actual hole-cards may be. According to a report on PokerFuse.com, the issue has been known about for several months, potentially dating back to February of this year, but was considered fixed. The re-occurrence is just now making its way into the public light. Basically what is happening is that the Party Poker software is showing players the wrong hole-cards and the “real” hole-cards are only revealed at showdown, so a player who thinks they have Pocket Aces may very well have J3 offsuit! According to a thread on 2+2, the initial reports were made about a month ago on a German poker forum, where a user posted a video showing his hole-cards change mid-hand. More and more players also posted evidence of this glitch, which Party claimed was fixed months ago when the rumors first popped-up –Party Poker claimed at the time that it was due to a compatibility issue between the site and Holdem Manager, a third-party software add-on that tracks hands. •	Munko7: I use no auxiliary software and was running only Party and still problems with the hole cards. •	Chrom007: My position in the tournament was No. 5/45. My hole cards were QQ on the flop was a lady. I then shoved everything in the middle.A player called. He showed AQ. So that I had won, I thought. Everything went to the opponents. My hole cards were suddenly Q7. I played without HUD! •	vvolf69: I know that it occurred independently of hem 2, because I have checked with the players who have complained. 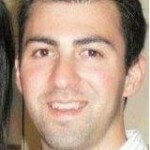 With the thread garnering more and more attention on 2+2, a Party Poker spokesman posted that the site was aware of the current problem and that they believed the issue solved when it “occurred some months ago now and to our knowledge has not reoccurred since.” The representative from Party Poker added, “This has been escalated to the highest possible level within the business.